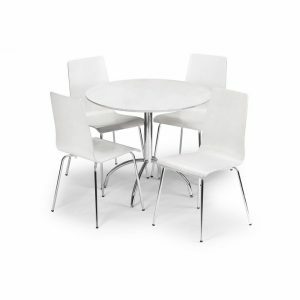 Simple, space saving design meeting the requirements of the modern domestic home. 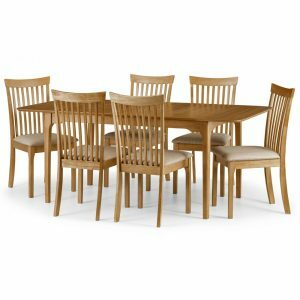 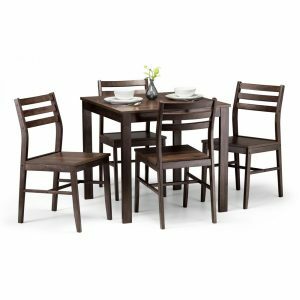 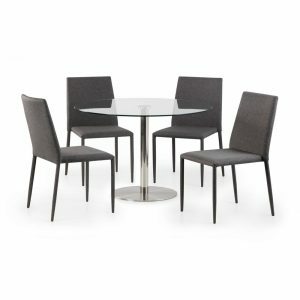 The Harriet dining set is consists of a laquered rubberwood and MDF dining table, along with four upholsetered faux leather chairs. 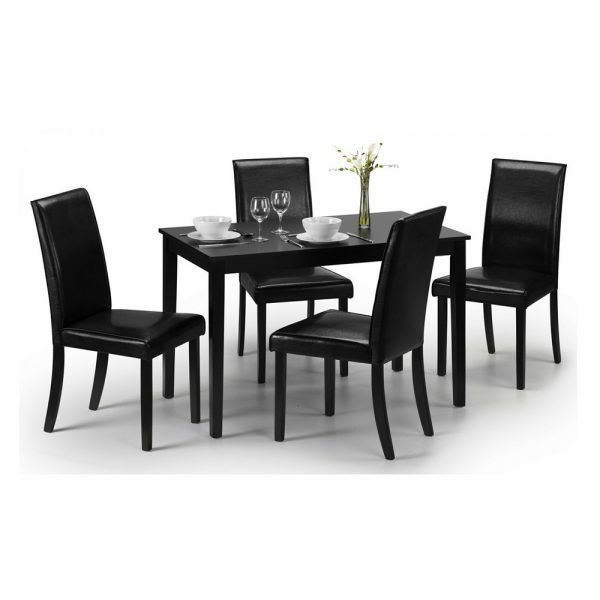 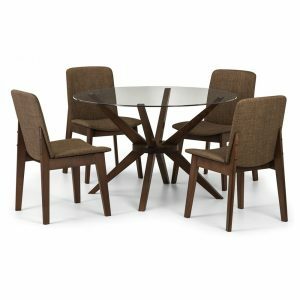 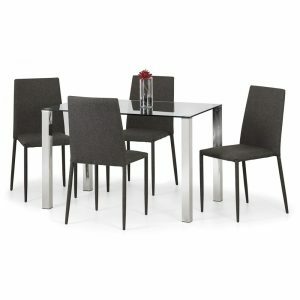 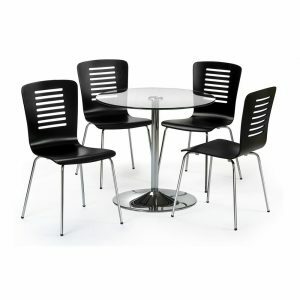 Finished in a block black colour, this dining set coordinates with a wide range of decor.